Soon Crash Orange would have his chance with "Thirst". 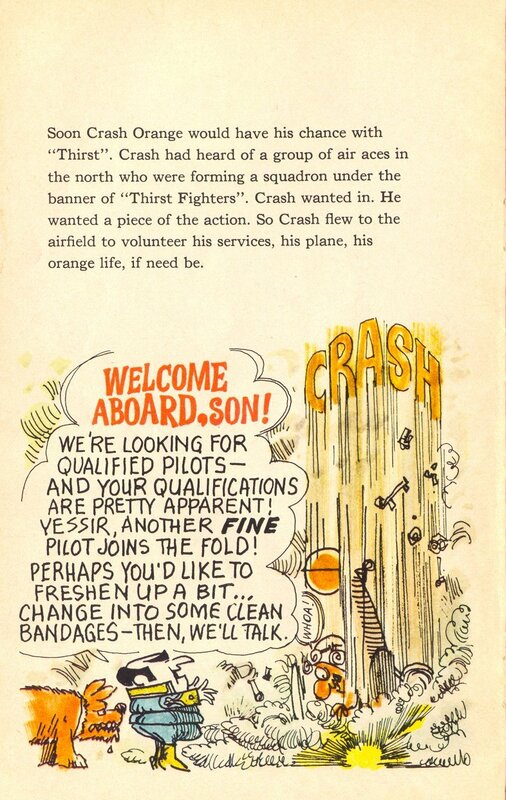 Crash had heard of a group of air aces in the north who were forming a squadron under the banner of "Thirst Fighters". Crash wanted in. He wanted a piece of the action. So Crash flew to the airfield to volunteer his services, his plane, his orange life, if need be.